MILWAUKEE — Eight new product suppliers in the Americas region have joined the Rockwell Automation Encompass third-party product referencing program, and one existing partner in the program achieved global partner status. Additionally, the PartnerNetwork program has expanded to include two new companies in the EMEA region: one OEM Partner company and a Solution Partner company. These leading organizations provide products and services that give global manufacturers access to a world-class network while also enhancing Rockwell Automation solutions. The relationship between Rockwell Automation and its PartnerNetwork members helps customers gain the most value from their automation investment by helping simplify the supply chain, contributing to innovations in project design, and improving collaboration among suppliers. 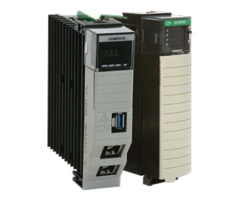 By providing critical components or connectivity solutions that complement, enhance and extend the Rockwell Automation solutions, Encompass Partner companies help manufacturers harness the knowledge and flexibility needed to respond to rapid change and shifting demand. In addition to helping enhance the Rockwell Automation Integrated Architecture system, Encompass Partner companies help simply the product-selection process so it's easier for customers to find the technologies best-suited to solve their unique application challenges. 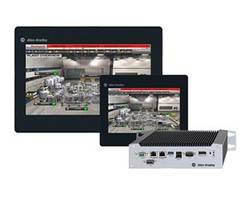 OEM Partner companies demonstrate a commitment to offering high-quality, innovative machinery and equipment that uses Rockwell Automation solutions. These PartnerNetwork members are dedicated to helping manufacturers increase business agility, optimize productivity and achieve sustainability objectives by delivering flexible and efficient equipment. Solution Partner companies are proven, trusted and established companies that offer demonstrated knowledge and experience in design, implementation, project management and maintenance of industrial control systems. The Rockwell Automation global PartnerNetwork program is comprised of a collaborative team of top-grade suppliers and system integrators, including Encompass Partners, OEM Partners and Solution Partners, who work collaboratively to help solve manufacturing and automation challenges. • Exlar Corporation is a business group of Curtiss-Wright Controls. Exlar designs, manufactures and sells linear and rotary actuation products worldwide, serving a broad range of industries, including general industrial automation, automotive, process and defense. • LinTech designs, engineers and manufactures both standard and custom mechanical-positioning components and systems for use in a wide range of linear motion applications. LinTech's products have been used in numerous applications within many different market segments over the years, including aerospace, automotive, food, machine tool and packaging. • Marathon Motors is recognized for engineering excellence, custom-designed products, and an extensive product line of industrial quality motors. Motors are available in all popular enclosures from 1/12 to 3000 Hp and in a variety of mounting configurations. • Nook Industries Inc. provides a complete line of linear motion products from screws to jacks and linear actuators, serving a wide range of industries, including military, chemical, factory automation, paper and tire manufacture. • Owl Computing Technologies Inc. is a leading source for next-generation cyber security. Owl's DualDiode Technology, a proprietary data diode, has been successfully deployed in over 1,500 solutions across government, military and critical infrastructure networks. • Samson Controls Inc. provides globe valve, rotary valves and smart positioners for process industries. They are the U.S. manufacturing, engineering and sales subsidiary of SAMSON AG, globally recognized for its depth and range of products, 100 years of experience, high-quality work, entrepreneurial spirit and innovative strength. 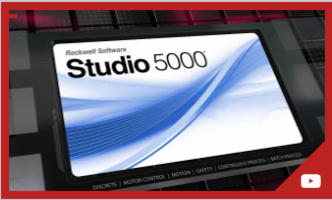 • Solidworks Corp. provides SolidWorks Electrical Schematic, a powerful suite of purpose-built, easy-to-use collaborative schematic design tools that allow for the rapid development of embedded electrical systems for equipment and other products. The technology allows designers and engineers to span multiple disciplines with ease, thereby shortening their design cycle. • Tolomatic Inc. is a leading supplier of electrical linear actuators, and electric linear motion-control and pneumatic actuators and cylinders. 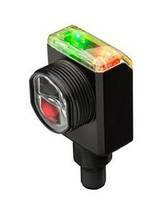 Tolomatic has earned its industrywide reputation for designing and manufacturing highly durable and reliable electric linear and pneumatic actuators, and power transmission products for a variety of industries, including packaging, material handling, medical, food processing, automotive, semiconductor and general automation. • Win-911 Software offers WIN-911, a real-time alarm notification software that works with existing control software or SCADA systems to monitor operations and notify personnel of problem conditions. As a leader in remote alarm notification, WIN-911 is used by over 170 of the Fortune 500 companies. • OCME builds high-quality machines for primary packaging, machines for secondary packaging, and machines for end of line and logistics. The ISO 9001-certified, Parma, Italy-based company operates primarily in the beverage, food, detergent, petrochemical and tissue sectors. In addition to being a supplier of single machines, OCME can also provide complete lines, integrating its machines with third-party supplied machines. 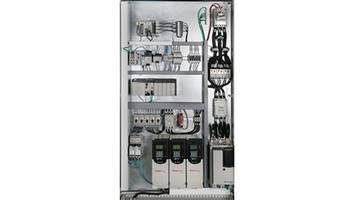 • Gundlack Automation GmbH provides a broad range of services, competence and partners in the field of mechanical engineering that allows the company to deliver complete automation solutions. The company is experienced in the use of many different technologies and technological systems, allowing them to create and deliver the optimal solution for its clients, including after-sales services and knowledge transfer. Encompass, Integrated Architecture, LISTEN. THINK. SOLVE. and PartnerNetwork are trademarks of Rockwell Automation Inc.
DualDiode is a trademark of Owl Computing Technologies Inc.